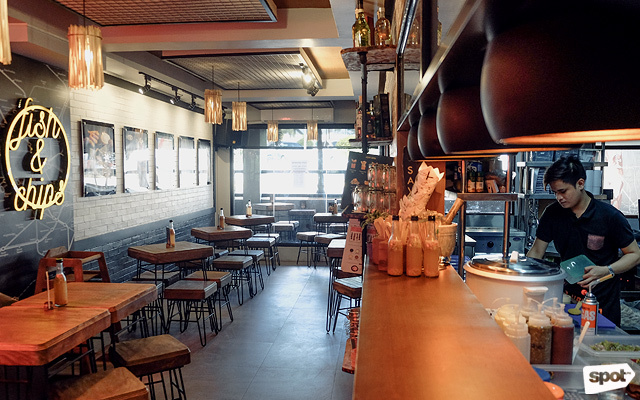 (SPOT.ph) We’ve rounded up restaurants that are perfect for get-togethers in Makati, Taguig, and Quezon City but what if you and your friends are based in Pasig City? Lucky for you, the laid-back city has lots of options to cover whatever it is you and your friends are looking for, from yakiniku to Spanish cuisine. 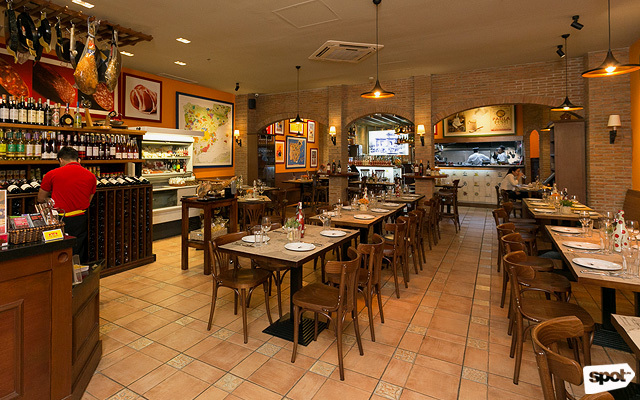 There’s no group that can resist pizza, and if you’re in Kapitolyo, you should head to Amare La Cucina. 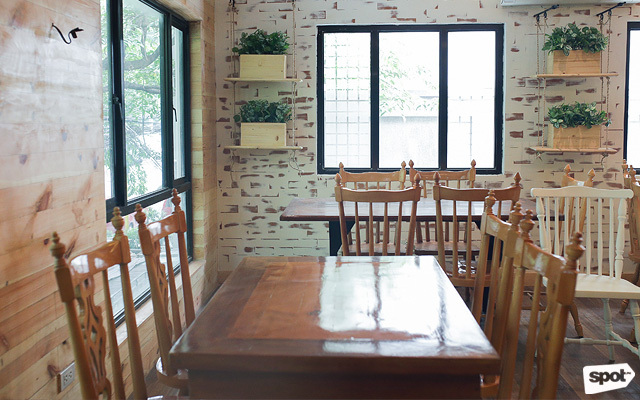 The Baguio-born pizzeria brings their homey vibe and wood-fire oven-baked pizzas to Pasig. If your group’s up for it, you can opt to make your pizza yourself, though their signatures are already more than enough. 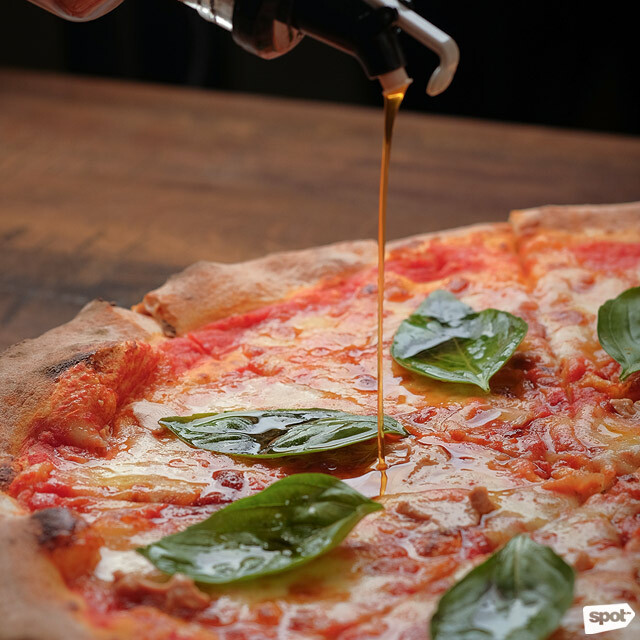 The Tre Formaggi may seem basic but with a crust that hits all the right crisp-chewy spots and a blend of three kinds of cheeses, you won’t regret having this. If you’re in the mood for something fancier, have the Foie Gras Pizza (P595) with basil and truffle oil. Fans of low-profile Japanese restaurant Takashi at Pioneer Center should also check out Ichika. 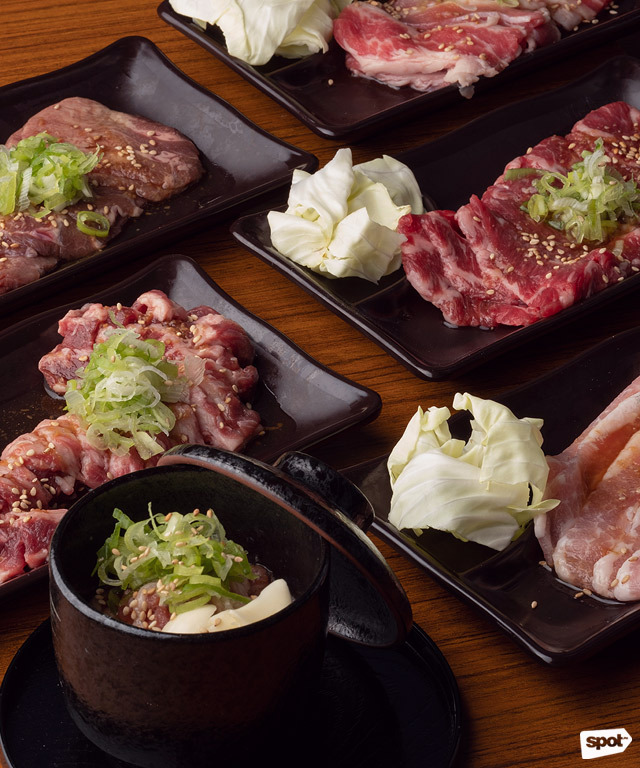 Chef Takashi Kawasaki’s yakiniku concept lets you grill your own meat of which they have quite the variety. 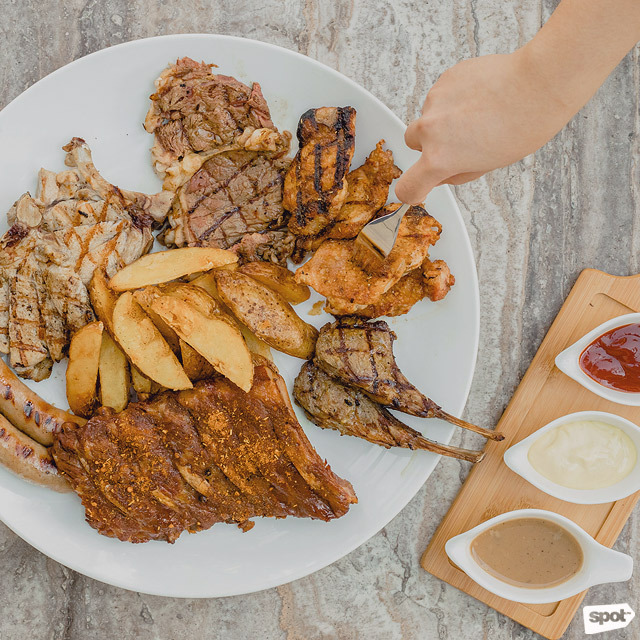 You can choose from budget-friendly options like Beef Galbi (P198) or Pork Galbi (P198) or go all out and have Jo Kalbi (P498) or the U.S. special rib. One of the best things about Ichika is their array of over 10 sauces that you can mix and match. Choose from Ponzu, Spicy Yakiniku, Herbed Salt, and more. Ichika is at Pioneer Center, 8006 Pioneer Street, Pasig City. 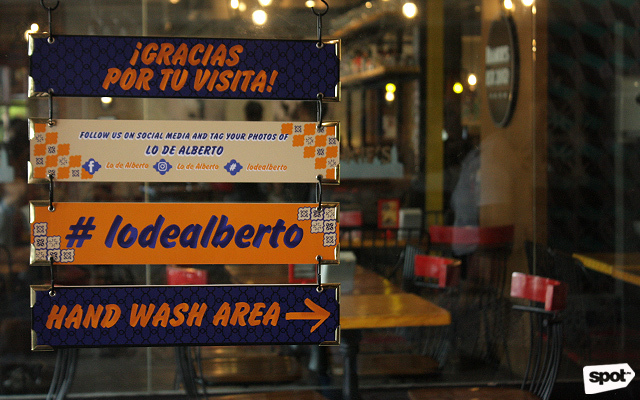 Lo de Alberto has always been a crowd favorite ever since they were an open-air taqueria at City Golf. 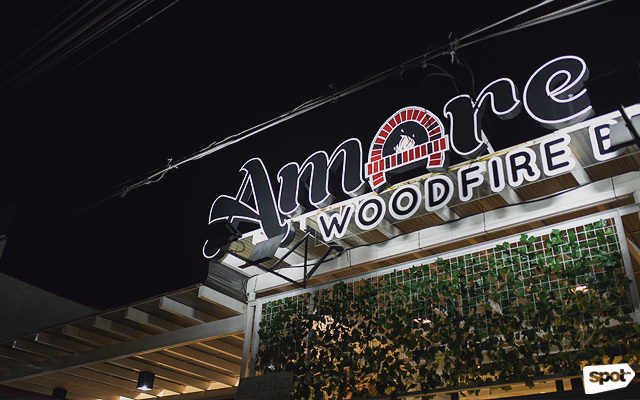 Today, they’re now in a bigger, air-conditioned space but their tacos are still as crazy-good as ever. For the extra hungry, have the Gran Campechano, a bigger-than-average crunchy taco that’s filled with smoky mashed beans, sweet chorizo, and shredded barbecued beef. 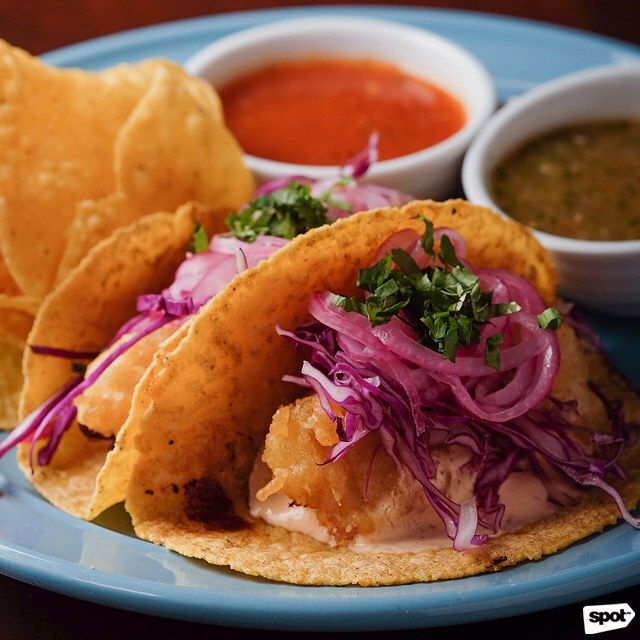 The Agua Chile is a great light option, especially for seafood lovers—this street taco comes stuffed with fresh tilapia and shrimp which are lightly seasoned with chili and pickled vegetables. Your friends will also love their daily Happy Hour promos, with buy-one-take-one deals on cocktails. Lo de Alberto is at G/F City Golf Plaza, Julia Vargas Avenue, Pasig City. If you and your friends are into Korean food, check out Kko Kko Home. 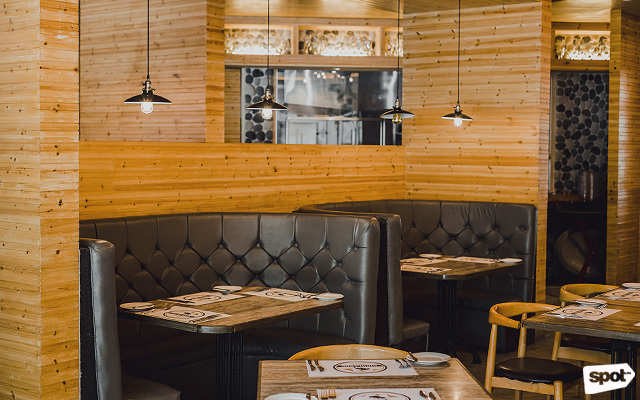 Done up to look like a cozy suburban home, this Korean restaurant is perfect for laidback get-togethers. 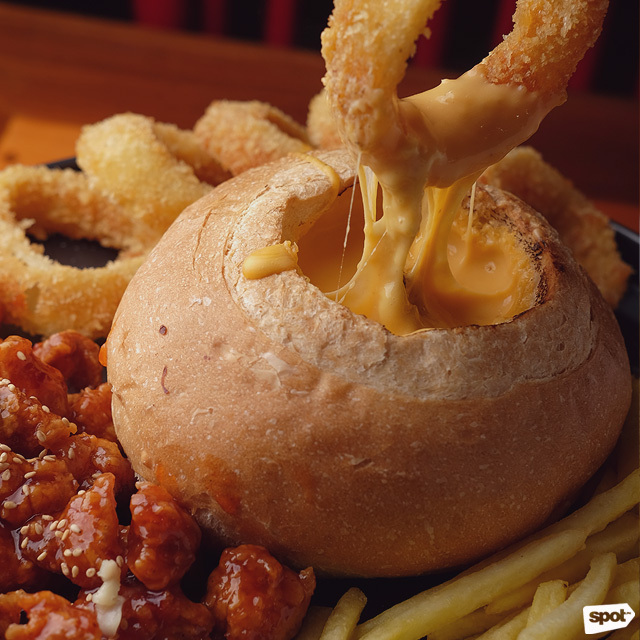 Your group is sure to love the Chicken Cheese Fondue (P658/half, P988/whole), which will get you a bread bowl filled with melted mozzarella cheese plus onion rings, French fries, and chicken chops tossed in a special sweet-spicy glaze to dip into it. 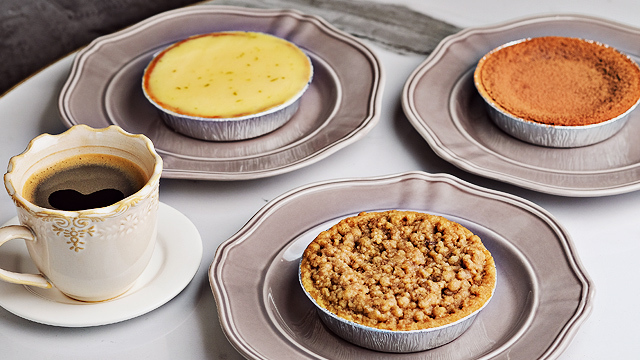 Aside from menu items available across all Kko Kko branches, Kko Kko Home is also the test kitchen of owner Grace Lee so you can expect new and exclusive dishes every now and then. It took Mamou 10 years to open a branch in Pasig City but any regular knows they’re worth the wait. The Angus Ribeye USDA Prime Grade Steak (P1,950/single, P3,490/twin) may seem like a splurge but their steaks are big enough to share. Plus, their steak has a special Mamou touch: Bits of steak fat, toasted and added to the rib-eye upon serving to make it extra rich and sinful. Pair your steak with Steak Rice or have Lorenzo's Truffle Cream (P395), easily one of the best versions of the pasta dish in Manila. 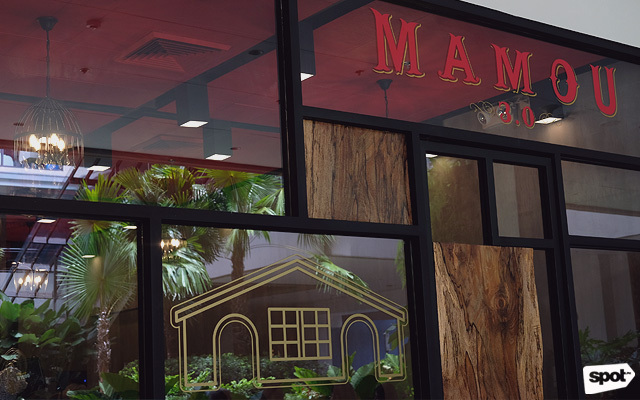 Mamou 3.0 is at G/F Ayala Malls The 30th, 30 Meralco Avenue, Pasig City. Lots of Spanish food is made for sharing: Think tapas and paella. If that’s what your group’s in the mood for, you can’t go wrong with Bistro Madrid by Chef Juan Carlos "JC" de Terry (who’s also behind Spanish deli Terry’s Selection). 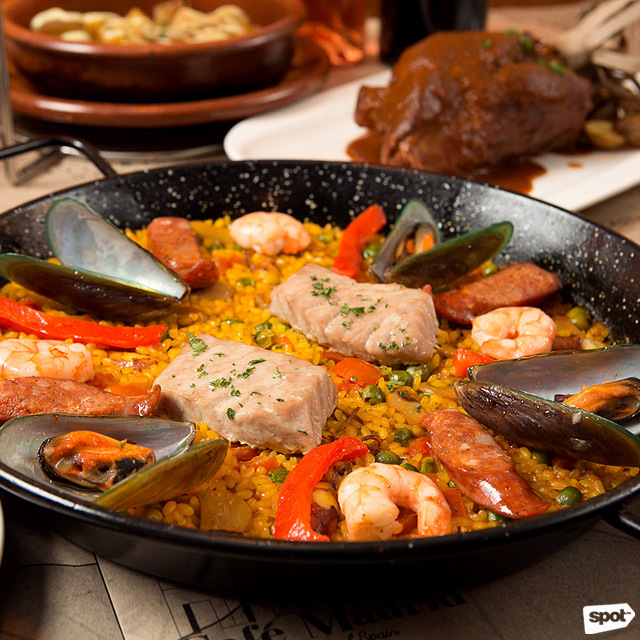 Their hearty Bistro Madrid Gran Paella (P650) is a must-try—good for three to four people, an order will get you flavorful Bahia rice that’s cooked in saffron-stock broth and topped with an assortment of vegetables, locally sourced seafood, and handmade chorizo. The City Golf branch of this wings chain is already popular among friends planning get-togethers, but you might not know that they also have a bigger Kapitolyo branch. Their wings are shareable and affordable—and they come in lip-smacking flavors, too, from classics like Garlic Parmesan and Frankie’s Classic Buffalo, to crazier options like Salted Egg and Wicked Wasabi. Frankie’s New York Buffalo Wings is at 1st Street corner San Rafael Street, Kapitolyo, Pasig City. If your friends are known for being extra discerning, they’ll love the variety of options at Burnt Bamboo. 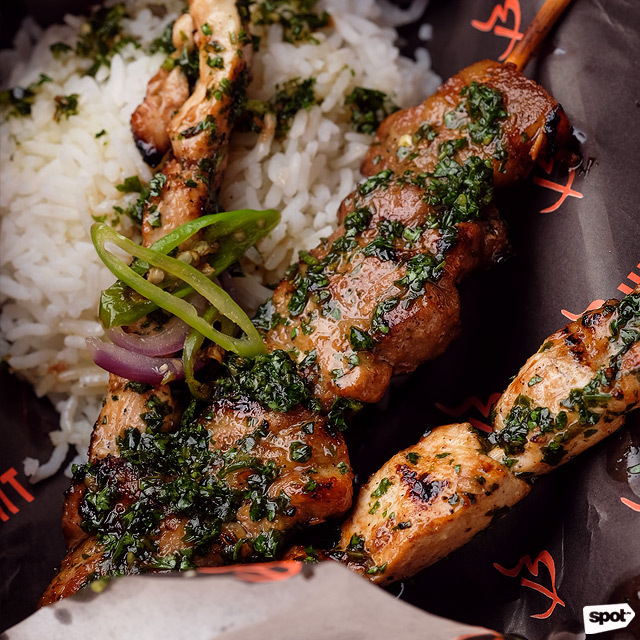 This barbecue joint brings together skewers and grilled items from around the world, from pork belly and beef tenderloin to isaw and chicken feet. You can customize your meal by choosing from 12 meat options and 12 glazes, plus salad, rice, and drinks. Their laid-back space is also made for casual catch-up sessions, so kick back and relax with a couple of drinks and great barbecue. Burnt Bamboo is at City Golf Plaza, Doña Julia Vargas Avenue, Pasig City. For special occasions, treat yourself and the fam to Highlands Bistro. 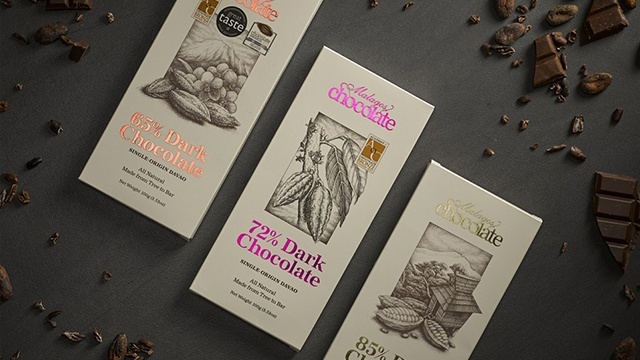 Immediately, their mountain-chateau vibe will make you feel extra fancy. The Baked Oysters Rockefeller (P810/dozen) is an impressive starter, with fresh oysters blanketed in gooey cheese. 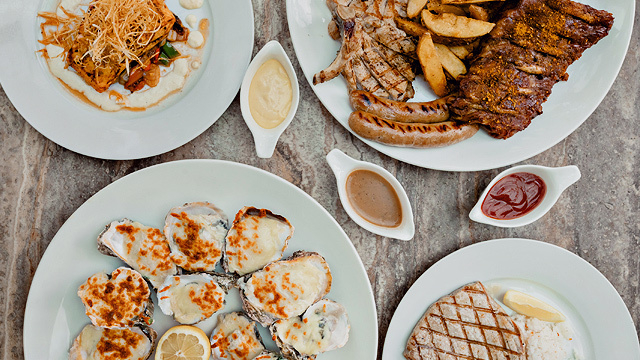 Also go for the showstopping Highlands Mixed Meat Sampler (P3,700), a platter of chicken kebab, a seven-ounce prime rib, and pork chops paired with savory dips and a mound of fried potatoes. 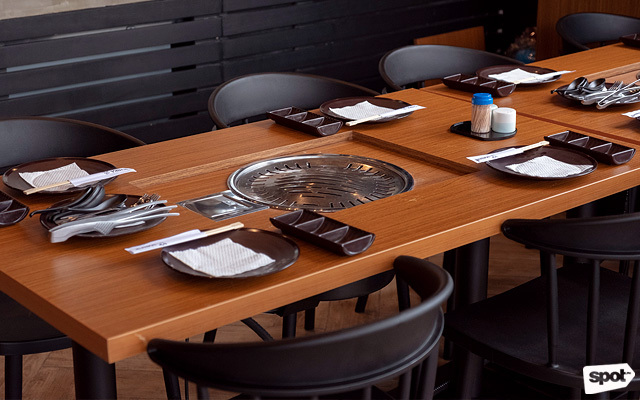 If you and your friends can’t get enough of Korean barbecue, head to Sibyullee. With their pastel aesthetic, you’ll be instantly charmed. 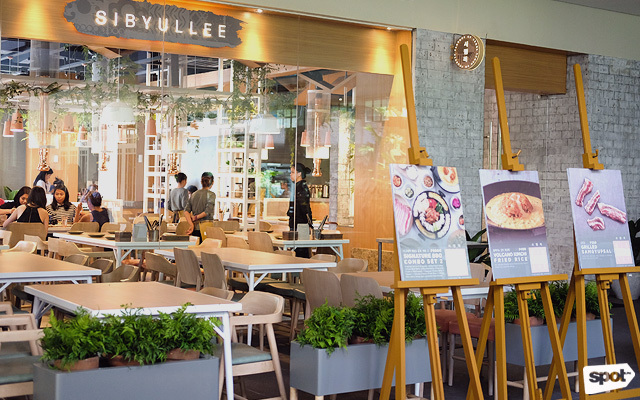 While Sibyullee is a Korean-barbecue restaurant, they also have lots of gooey dishes for cheese lovers. There’s the Galbi Cheese BBQ (P950), or barbecue-glazed short ribs that come with shredded cheese melted upon order plus fresh vegetables, rice cakes, potato slices, buttered corn, and egg omelette for dipping. 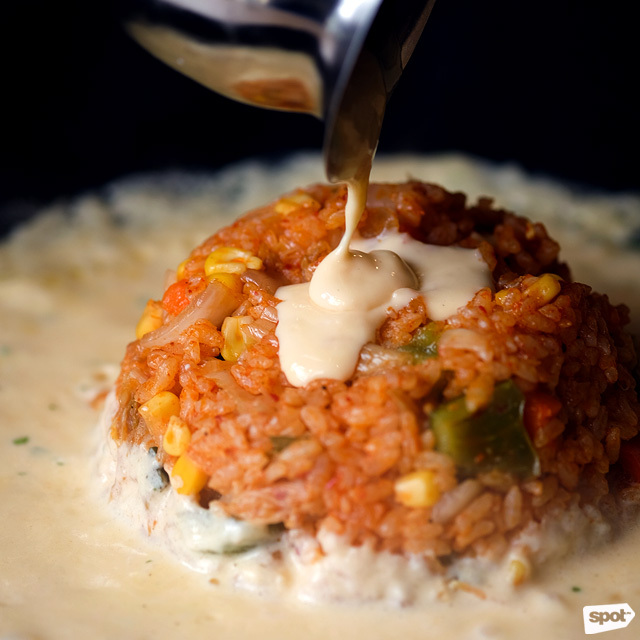 The Volcano Kimchi Fried Rice (P499) is also a cheese-lovers’ dream dish with a mountain of kimchi fried rice with melted cheese “lava” flowing down its slopes. Sibyullee is at G/F Ayala Malls The 30th, 30 Meralco Avenue, Pasig City.